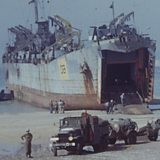 BBC iWonder - How close did D-Day come to failure? As night fell on D-Day, British and American Allied commanders could reflect on a day of overwhelming success. Over 150,000 British, US and Canadian soldiers had landed by air and sea and pushed their way several miles inland. But what if the invasion hadn't gone to plan? 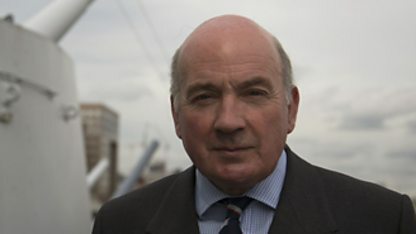 A problem with any of the vital elements - from keeping the invasion plans secret, to the complex operation that kept Allied troops supplied once they had landed - could have radically changed the outcome of D-Day. The invasion of northern France was the first stage in a long campaign to defeat Nazi Germany. The Allied commanders had to get every detail of the D-Day plan to work. The Germans were expecting an invasion - but they didn't know where and when. Events might have unfolded differently if details of the Allied plan had leaked out. If the weather conditions on D-Day had been high winds and storms, Eisenhower would have faced a difficult choice. Airborne troops jumping in high winds might miss targets, and cannot jump at all in winds higher than 20 mph; rough seas make beach landings more dangerous. If Eisenhower postponed again, optimum moon brightness would have been lost, troops might lose battle-readiness, the Germans have more chance of finding out. The opportunity to launch the invasion starts to slip away. Two weeks later a major storm hits. The landings are delayed further and possibly indefinitely. Once the Normandy beaches were captured, massive reinforcements of troops, vehicles, equipment, food and fuel were needed. If this part of the plan had failed, would the whole invasion have been jeopardised? 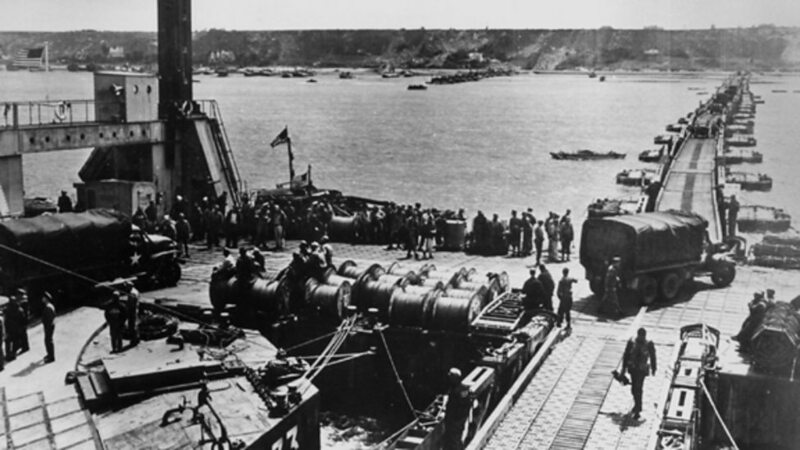 The Allies had built and brought over two artificial ports known as Mulberry Harbours to help supply the invasion. They were both operational by 18 June and could move up to 7,000 tonnes of vehicles and supplies per day. 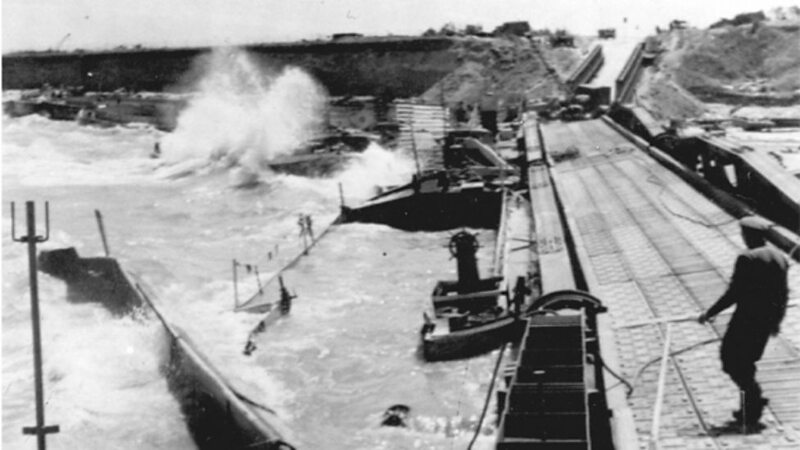 Although a fierce storm soon destroyed the harbour that supplied the American beaches, the harbour supplying the British beaches remained operational for seven months. But what if both had sunk, and there had been more storms? Even in bad weather, supplies could still get directly to the beaches, because the harbour breakwaters sheltered the ships. By 30 June, the American beaches were exceeding their daily target level of supplies, even without an artificial harbour. 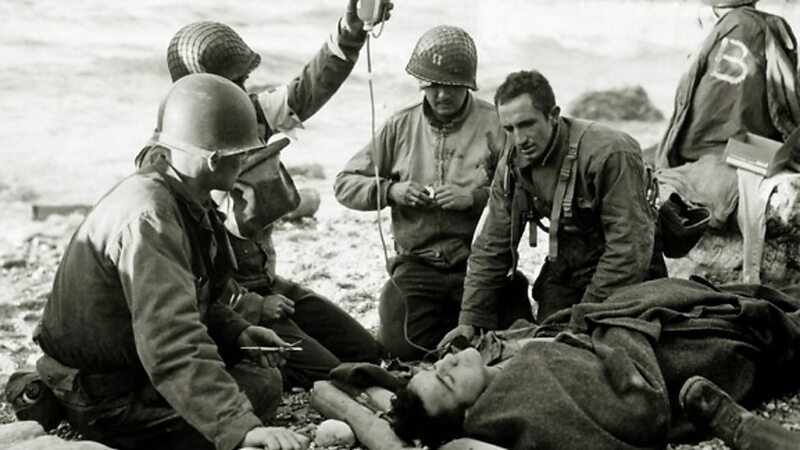 But if the supply situation had become critical, the Allies would have prioritised landing medical supplies for wounded soldiers. They would also have evacuated the most critical cases by air. 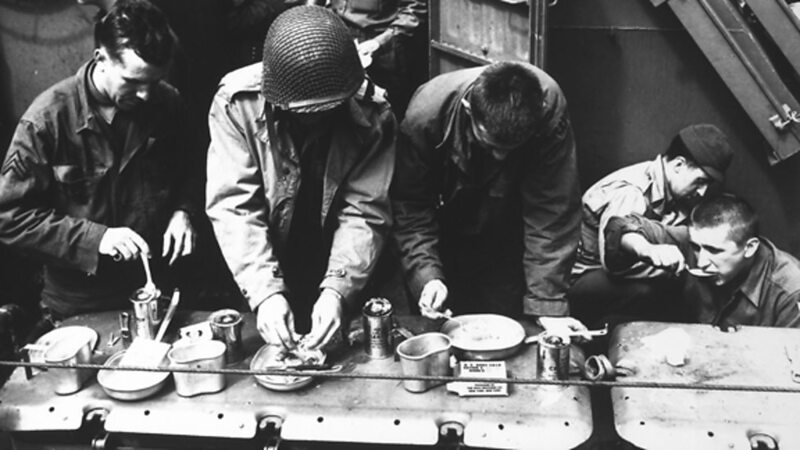 The Allies would have had to conserve their existing stockpiles through strict rationing of food, ammunition and other supplies. 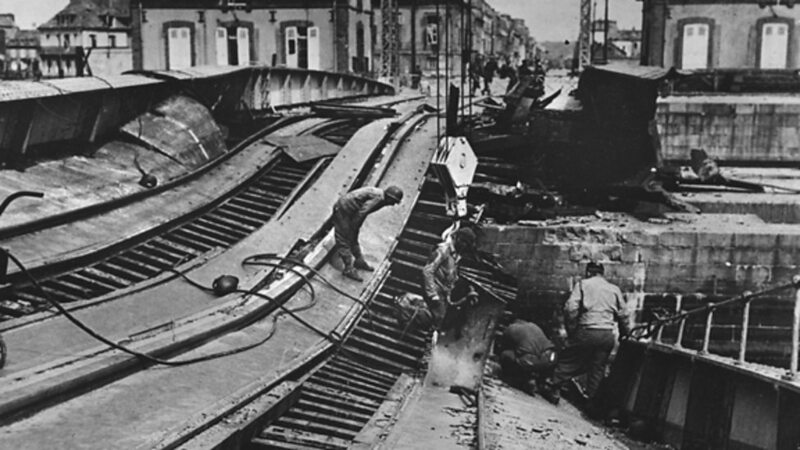 Bad weather would also have hit the German supply lines, already in dire straits due to Allied bombing. There would have been less fighting, as both sides sought to conserve ammunition for critical battles. This might have led to a temporary stalemate, with both sides entrenched in their positions. The fighting could have become much more like the trench warfare experienced on the Western Front in World War One. 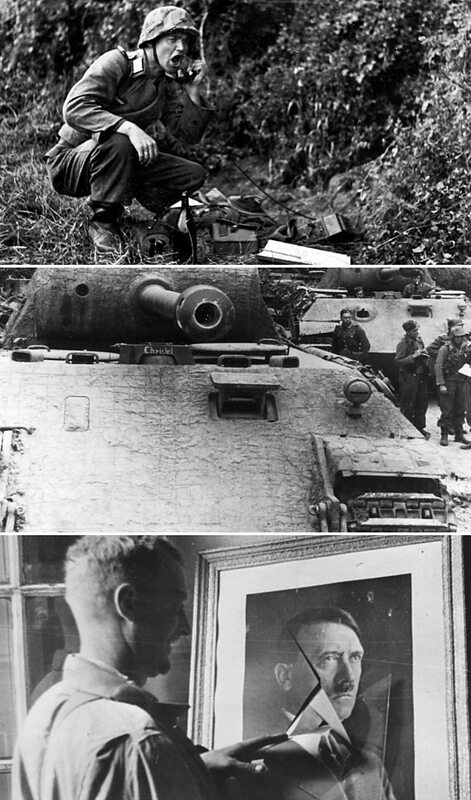 From top: German radio operator during D-Day; tank in Normandy; US GI, Sainte Mere Eglise. As the Allies attacked from the air and sea in the early hours of 6 June, local commanders gradually became aware that the long-awaited invasion had begun. But those at the very top of the Nazi command believed it might be a diversion, and the main attack was coming elsewhere. Local German commanders reacted quickly to the airborne invasion, calling for support from the 21st Panzer division which was the only German armoured reserve actually stationed in the invasion zone. A rapid and concentrated counter-attack might have given them a greater chance of defeating the airborne forces as they landed, leaving the amphibiously landed forces without their flank protection when they came ashore a few hours later. The Allies wanted to take the strategically important city of Caen. Bad weather on D-Day persisted late into the morning, and poor visibility inland made it easier for the 21st Panzer Division to avoid aerial attacks. Reach Caen early enough, and the battle with Allied infantry, weary from fighting their way up the beaches, could have been much more problematic for the Allies than it proved to be. This would have bought German commanders vital time to attempt to counteract the invasion. Had German commanders – among them Hitler himself – all agreed this was the main invasion, the Panzer reserves might have been ordered to Normandy much earlier on D-Day, and the Allies might have faced a far greater challenge. However, the Germans missed the chance to deploy their best defence forces effectively. But most of their decision-making was based on the belief that the main invasion would come further north. Inaccurate accounts of events on the front line added to the confusion; even at midday, senior German commanders believed it was their forces, not the Allies, who were winning the fight. 7. What if D-Day had failed? 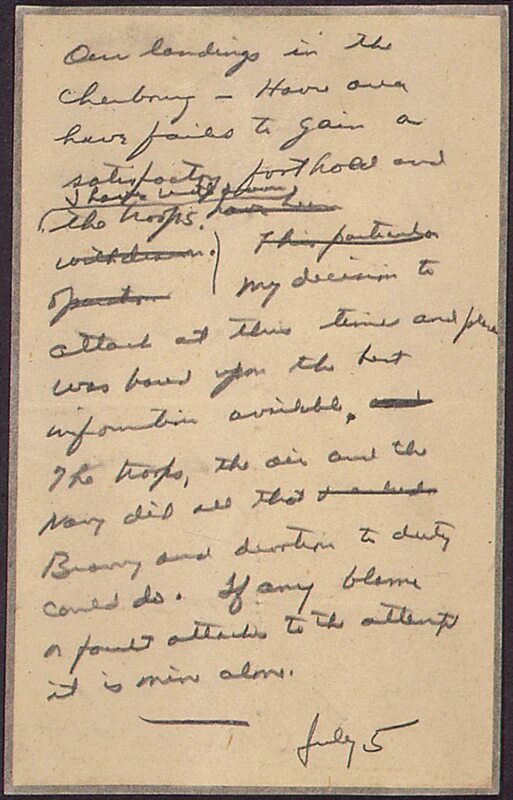 Eisenhower drafted a statement on 5 June, incorrectly dating it 5 July, announcing the failure of D-Day. The ultimate decision to launch the D-Day invasion was made by General Eisenhower. On issuing the order to go ahead he drafted a statement accepting full blame in the event of failure. He wrote: "Our landings in the Cherbourg-Havre area have failed to gain a satisfactory foothold and I have withdrawn the troops. My decision to attack at this time and place was based upon the best information available. The troops, the air and the navy did all that bravery and devotion to duly could do. If any blame or fault is attached to the attempt it is mine alone." He would never need to issue the statement, and it remained in his uniform pocket unnoticed for weeks. But what if he had? What if the huge invasion force had been repelled? 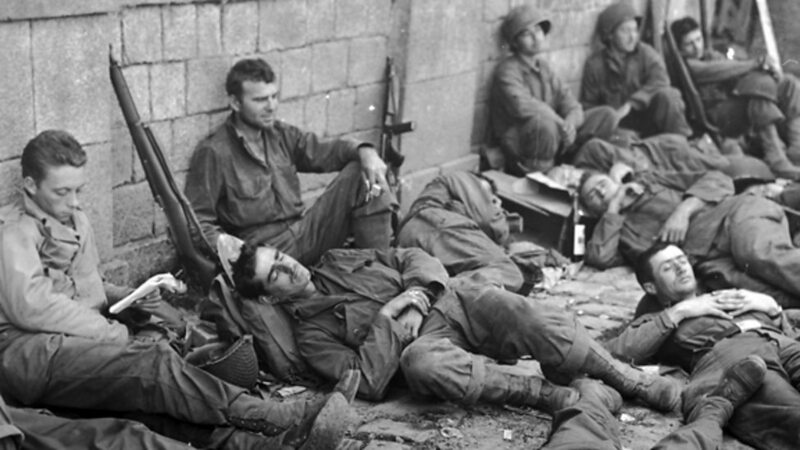 What if D-Day had failed? Had D-Day failed, it would have been particularly costly for Britain. They were already running out of manpower, particularly the Army. I think failure would have given a huge boost to the ‘bomber barons’, like Arthur Harris, who were arguing that strategic air attacks on German cities could bring the country to its knees. There’s also a small possibility that the American would decide to go on the defensive in Europe and concentrate on defeating the Japanese instead. I think the Soviets could have won the war singlehandedly, perhaps by 1946. I think we may well have seen the hammer and sickle flying not simply in Poland and Eastern Germany, but in Western Germany, the Benelux countries and France. Had D-Day failed, it would have given a major boost to morale in Germany. The German people expected this to be the decisive battle, and if they could beat the Allies they might be able to win the war. I think Hitler would have withdrawn his core divisions from the West to fight on the Eastern Front. The Red Army launched a major offensive in late June which wiped out the German’s Army Group Centre, and I think the French divisions would have arrived too late to help. However, they would have been able to stop the Russians advancing further than they actually did. Had D-Day failed, there would have been an agonising reappraisal among the Americans who had pushed for a cross-channel invasion. Eisenhower would almost certainly have offered his resignation, it would almost certainly have had to be accepted. It’s also possible that US President Roosevelt could have lost the November 1944 election, so there could have been a change in administrations. I think the Mediterranean campaign could have been revitalised, as here was somewhere where the Allies were achieving something and already had forces on the ground. 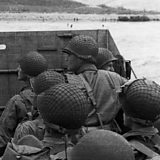 Had D-Day failed, with a costly loss of men and equipment, it would have taken years not months to gather the strength for another attempt at invasion. The Russians would probably have continued their advance towards Western Europe, but at a slower pace due to more German reserves being available to be deployed against them. I don't think strategic bombing would have brought a solution, and the U.S would have switched its main effort to the Pacific. The intriguing question is: could the Allies still have managed to get an unconditional German surrender, or would there have been a negotiated end to the war? In that case, what would Europe look like today? 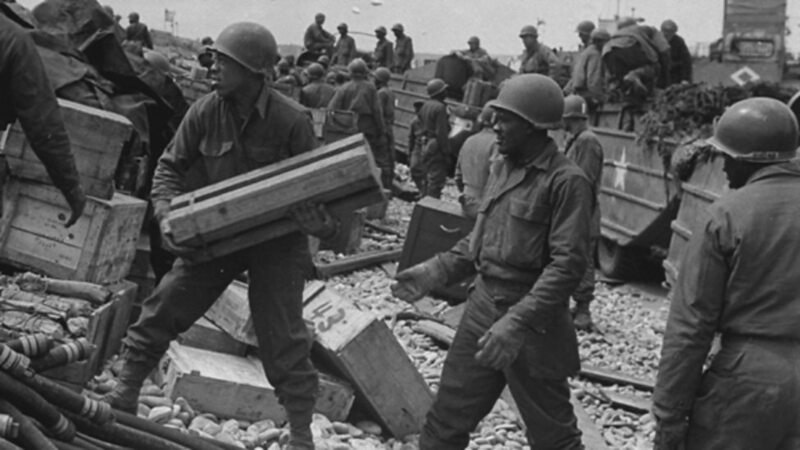 D-Day: How did the Allies pull off the invasion?